Etta and I went over to Leslie’s to celebrate Andrea’s birthday. 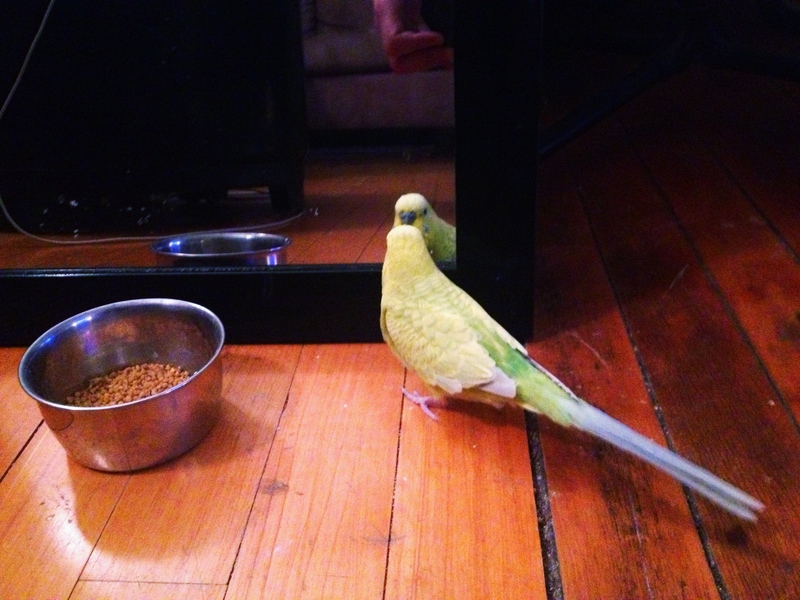 Leslie had her bird Pickle out of the cage and it crawled on my back before flying all the way across the apartment to its cage. I want to do a photoshoot of this bird in the nicer light of spring. Andrea brought donut holes, Etta and I brought pizza and cannoli and Leslie made a delicious savory brie cheesecake and a sweet pear tart. 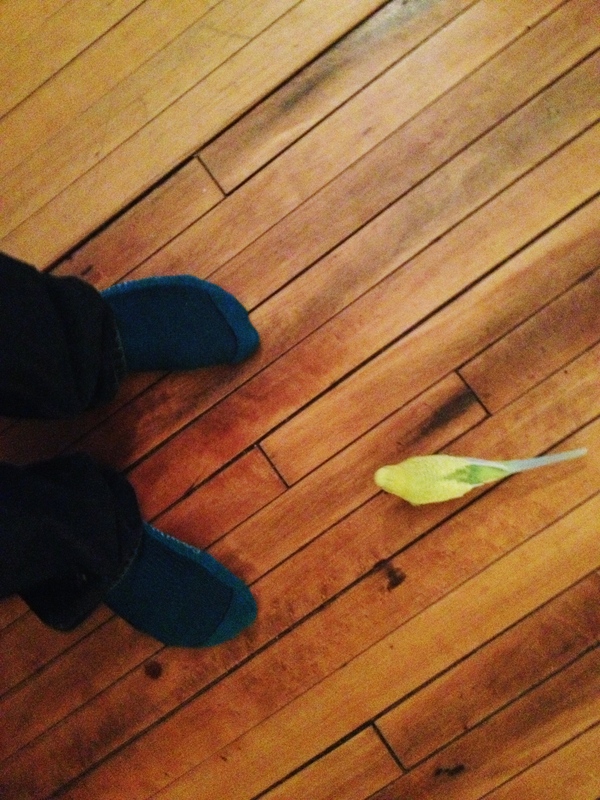 They watched the Golden Globes while I rolled around on the floor with the bird. Pickle thought the new wool socks Etta bought me were little birds. Time to do that spring photo shoot of Pickle.